Note: I was going through a blog that we had to keep for my third year Information Design class in Fall 2015 and I liked this one that I wrote on Ottawa’s brutalist architecture… so I’m reposting it. I wrote it following a presentation from Colin Ellard on the psychology of cities and a reading that we had to do on Ottawa. Fun fact: My Information Design class was a big factor in getting me interested in urban planning. I loved Dr. Ellard’s talk! I was especially interested by what he said about the skins of the buildings, and how they affect how the common pedestrian or city resident feels emotionally. That made me think about the effects of certain styles of architecture on people’s emotions, and (as everything always does) of Ottawa, specifically in reference to the high volume of of our brutalist architecture. We have a lot of brutalist stuff, and it’s undeniable that it’s a favourite controversial discussion topic for many Ottawa residents. 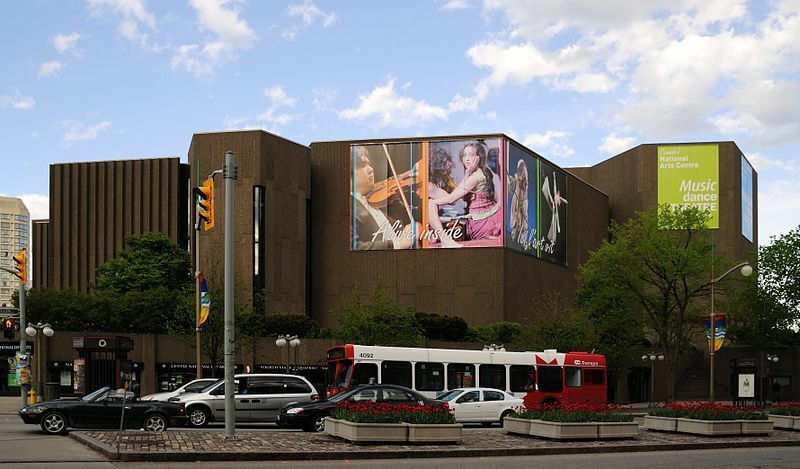 There are certainly people who love Ottawa’s brutalist buildings, like Sara Gelbard, who recently gave a workshop on the beauty of brutalism in Ottawa, frequently gives tours on brutalist buildings in Ottawa, and contributes pieces to yowLAB on brutalism. 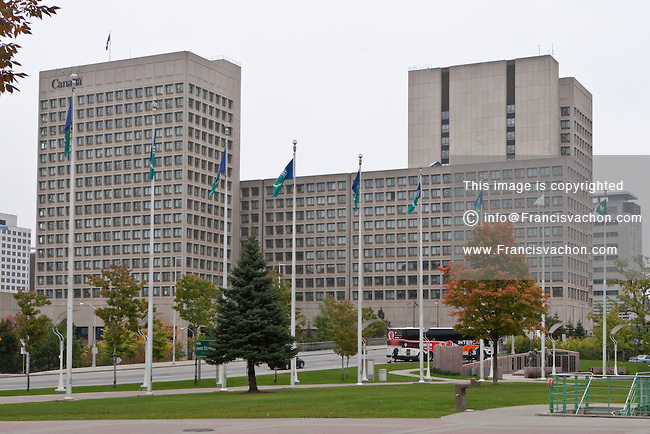 @andreaLG Could be worse: Ottawa tore down everything in the 60's and 70's and replaced it with Bureaucrat Brutalism. Ontario Architecture describes brutalist architecture as a “response to the glass curtain wall” style of architecture that was particularly popular in 1960 and was characterized by the use of béton brut (concrete with no formal finish). 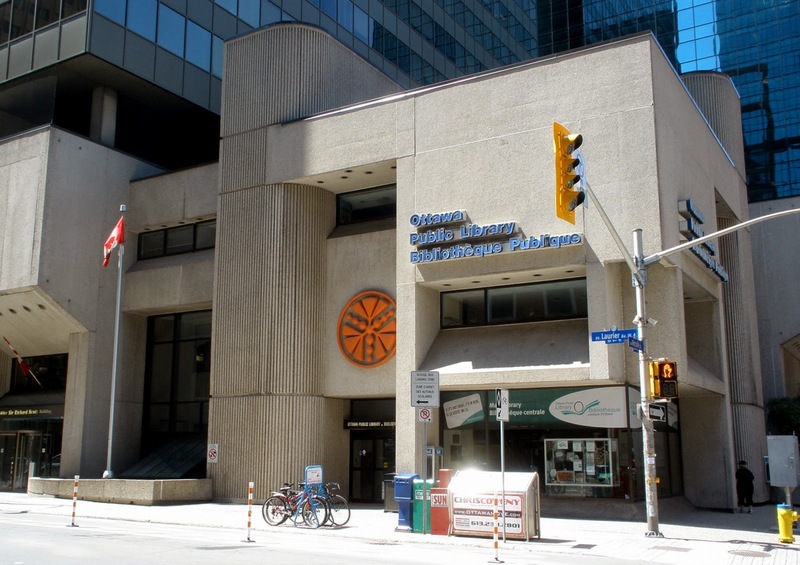 In Ontario, the site’s author goes on to write, the use of brutalist architecture is particularly popular in universities and public, governmental buildings. I, personally, have never been particularly fond of it, though I understand its uses: it’s plain, it’s functional, it’s cheap. When government has the opportunity to cheap out on things, they take it. It also helps that the style of architecture involved is rhetorically very functional and utilitarian (which is, truly, what the feds want to communicate about themselves!). However, at the expense of seeming functional and utilitarian, brutalist architecture is cold, separate, and imposing, which is really why I’ve never particularly liked it. I much prefer a downtown landscape that’s bright, vibrant, and more glass-covered (which is exactly what brutalism was responding to in the first place). 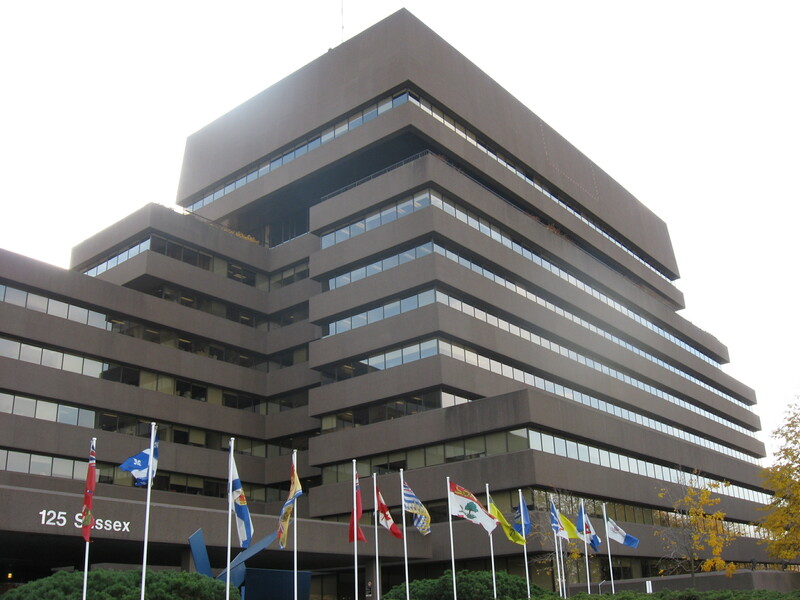 I don’t think I’m alone in this: I asked my Facebook friends what they thought about Ottawa’s brutalist architecture. “Oh man…where do I start?! Haha. It makes me feel intimidated – and confused. Intimidated because these buildings are so big and bulky and dark. And I know that many of them are gov’t. So much power housed in a brutalist structure! Confused because Ottawa is such a sprawled out city with many residents living in peaceful bedroom communities. A city that has some extremely cultured, artsy and comfortable neighbourhoods (Hintonburg, Wellington West, Westboro, Glebe, Chinatown, Little Italy, Old Ottawa South, The Golden Triangle/parts of Elgin…) the Brutalist architecture seems to only signify offices & gov’t bodies, and because it’s so concentrated in Centretown, hardly anyone lives among these buildings and everything is dark and empty by 6pm. You have to walk to Sparks (sparse there too tho) or down Bank, or into the Market to actually find life. The brutalist architecture is confusing to me because it’s not the Ottawa I know. There’s no life there. I can’t really remember the factual architectural history about it, but I’m not a fan of the style. The characteristics oppose a lot of what’s trendy/in/current in terms of architecture today (heavy, big, bulky, less glazing vs lighter, modern, inviting, glazing/light etc.). But also some of these are also not just “trendy” aspects, but generally important aspects of architectural design (designing with natural light, designing public buildings with an open/inviting/transparent feeling, designing space conscious in a city, etc.). I also just don’t like the aesthetics of brutalist architecture–they’re meh in design/aesthetic value… There’s this one brown building on Sussex and it’s apparently won awards or something but it’s hideous! I think it’s a terrible civil building, it’s so ugly. I don’t know, I can’t really say cause I haven’t paid too much attention to the brutalist downtown buildings, but they’re kinda boring and dated looking now. The emotional component of brutalist architecture is how we’re going to bring this blogpost back to Dr. Ellard’s presentation, and of his research. During the presentation, while he was talking about his research, I suddenly realized that I had heard him earlier that month on one of my favourite CBC Radio shows, Spark. In this specific episode, Dr. Ellard took Nora Young (the host) on a tour around downtown Toronto and recorded her emotional reactions to the facades around her. In Ottawa, where much of our downtown architecture is styled the way it is, how do the emotional reactions of her citizens contribute to the way they live, work, and play in the city? How does it contribute to the overarching character of the city? This goes back to the Ottawa reading that we did the week before: perhaps this brutalist architecture has a bigger influence on the nature and stock of our city than previously imagined. 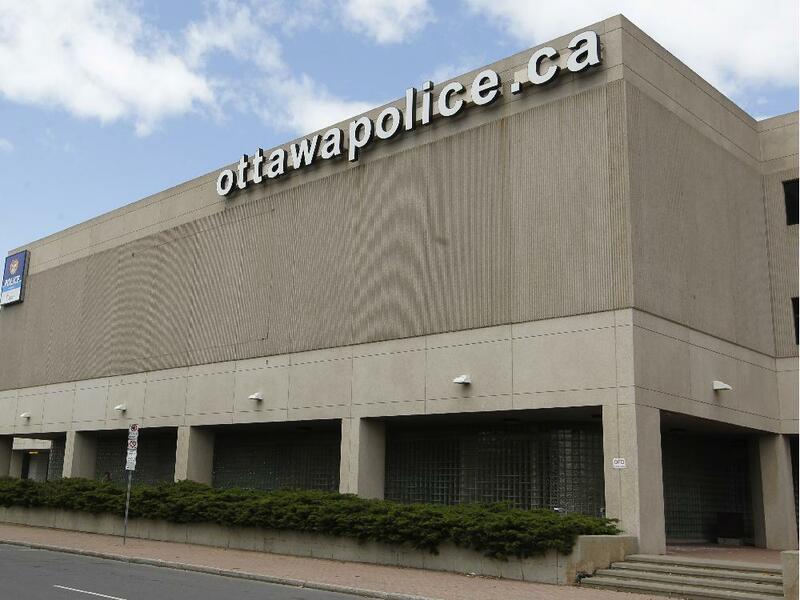 If we are consistently in the shadow of these huge, hulking government buildings, we feel, unconsciously that we are being imposed on by the government– it’s a subtle Orwellian Big Brother feeling that may contribute to, as Alex said in class, Ottawa’s “polite” nature. I feel all the time that Ottawa is getting better and better at becoming a “fun” city, though I’m not sure if that’s because I’m getting older and can actually do fun things, or because it’s truly reflective of policy changes and initiatives. But I feel, always, that our reputation for being a government city will never be far away, and that, with all of our functional, utilitarian brutalist architecture, we’ll never be able to shake that off until we physically change the nature of Ottawa’s cityscape. Next Post When talking is the last thing you want to do.